166. Dr. Javier Laurini is a board certified pathologist in Mobile, Alabama. He got his medical degree from University of Salvador Faculty of Medicine and also completed his residency at University of South Alabama. He then did two fellowships one in selective pathology at Mayo School of Graduate Medical Education and one in hematopathology at University of Nebraska Medical Center. Dr. Laurini is board certified in pathology and has over 20 years of experience. 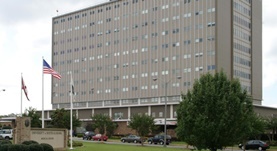 He currently works with University of South Alabama Medical Center. Dr. Javier Laurini has contributed to 3 publications. Lymphoma diagnosis at an academic centre: rate of revision and impact on patient care. Bowen, J. M.,Perry, A. M.,Laurini, J. A.,Smith, L. M.,Klinetobe, K.,Bast, M.,Vose, J. M.,Aoun, P.,Fu, K.,Greiner, T. C.,Chan, W. C.,Armitage, J. O.,Weisenburger, D. D.; Br. J. Haematol.. 2014 Apr 05. Rectal extranodal Rosai-Dorfman disease diagnosed by EUS-FNA: A case report and review of the literature. Ioannidis, I.,Manolakis, C.,Laurini, J. A.,Roveda, K. P.,de Melo Jr, S.,Avery, B.,Boudreaux, C. W.; Diagn. Cytopathol.. 2014 Feb 21. Classification of non-Hodgkin lymphoma in Central and South America: a review of 1028 cases. Laurini, J. A.,Perry, A. M.,Boilesen, E.,Diebold, J.,Maclennan, K. A.,Müller-Hermelink, H. K.,Nathwani, B. N.,Armitage, J. O.,Weisenburger, D. D.; Blood. 2012 Dec 6.